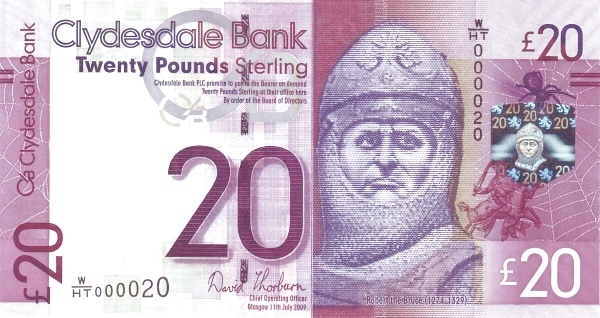 Scotland will retain the pound, and Scottish banknotes – underpinned by the 2009 Banking Act (click for details) – will remain in place within a post-independence currency union in Scotland. “A Yes vote in the referendum in 2014 means the best of both worlds with independence and Sterling working for households, businesses and everyone in Banffshire. “It will allow freedom for Scotland to develop our own taxation and spending policies to boost growth and address inequality. At present, the Scottish Parliament controls just 7 per cent of Scotland’s revenue base, and that would only increase to 15 per cent under the terms of the Scotland Act. “With independence, Scotland will control 100 per cent of our revenues, which is what it needs to be to build a stronger economy and fairer society. “The combination – which only comes with independence – of keeping the pound, accessing Scotland’s abundant resources and taking decisions on tax and other economic policies that are right for Scotland, is the best way to boost jobs in Banffshire and growth throughout Scotland. “Scotland’s finances are consistently stronger than the UK’s, generating more revenue per head than the rest of the UK in each one of the past 30 years, and Scotland has had a lower fiscal deficit than the UK over the past five years. “With the additional economic levers that independence will provide, and the up-to-£1.5 trillion asset base provided by Scotland’s oil and gas reserves, an independent Scotland will stand on a strong financial footing. Endorsements for SNP policy on retaining Sterling by James Scott, formerly Executive Director of Scottish Financial Enterprise and Professor David Blanchflower of Dartmouth College at http://www.scotreferendum.com/blog/ and Professor Joseph Stiglitz: "only independence will let Scots tackle income divide" at http://www.heraldscotland.com/. The long list of tax and welfare powers that Labour appears set to rule out for Scotland shows that the party is still ‘wildly out of step with the aspirations of people in Scotland’. Recent media reports make clear that despite polling and other survey evidence showing that a majority of people in Scotland want all tax and welfare decisions to be made by the Scottish Parliament, Labour has already ruled out the devolution of welfare and of substantial tax powers. North Sea oil & gas tax revenues, corporation tax, VAT, national insurance, alcohol and tobacco duties, inheritance tax and capital gains tax all appear to have been ruled out by Labour’s commission. Meanwhile, despite public claims to oppose the attacks being made by the Westminster system on the welfare state, Labour has also ruled out devolving welfare policy - consigning people in Scotland to pay the price of policies such as the Bedroom Tax being imposed from Westminster. “If these reports are accurate then people in Scotland will be wondering why on earth it is taking Labour so long to come up with such a meagre set of proposals. After all this time, they have produced a constitutional mouse. “The poverty of ambition being shown by the long list of powers Labour has ruled out for Scotland is simply the latest demonstration that they are wildly out of step with the aspirations of people in Scotland. "As the Scottish Council for Voluntary Organisations (SCVO) are pointing out, 71 per cent of the organisations which responded to their survey want welfare policy devolved - yet Labour's leadership have closed their minds to this, meaning that iniquitous and destructive measures such as the Bedroom Tax would still be imposed on Scotland, despite over 90 per cent of Scottish MPs voting against it. “And given that Labour’s own Finance Spokesperson recently accepted that Scotland is not subsidised in any way, it is indefensible for Labour to still want to deny people in Scotland the benefit of our nation's resources. “The claim that Westminster’s welfare system ‘has served us well’ simply beggars belief at a time when hundreds of thousands of people in Scotland are facing the brutal reality of the Tories’ welfare cuts. “If Labour is happy for welfare decisions to be made in Westminster, then they cannot escape the fact that they are also happy for deeply unfair measures like the Bedroom Tax to be imposed on households across Scotland. The parties in the No campaign prefer bad government from Westminster to good government with independence. “Recent polling has shown a clear majority want all tax and welfare decisions for Scotland to be made by Scotland’s parliament. The UK stands alone as the only country with major oil and gas reserves with no oil fund – highlighted in a table of countries with Sovereign Wealth Funds, demonstrating just how badly wrong Westminster has got it in not investing for the future. There are 35 Sovereign Wealth Funds based on oil and gas resources – illustrating that it is the norm for countries with major oil and gas resources to create a fund for long-term benefit. Quotes from past UK Energy Ministers, such as Tony Benn and the late Malcolm Wicks, underline that Westminster made a mistake in not setting up an oil fund. Tony Benn has said that the oil wealth was “wasted”, while former Labour chancellor Denis Healey wrote in his memoirs that the UK "would have been bankrupt without North Sea oil". "This table shows the missed opportunity for Scotland almost four decades ago when Westminster failed to invest in an oil fund. “Unfortunately Scotland isn’t on that table – but there is still more value to come from the North Sea than has been extracted to date, and with a Yes vote in next September's referendum we can make our oil wealth work for Scotland's long-term benefit. “We hear the No campaign’s hypocritical rhetoric on Scotland’s oil and gas – they are relentlessly negative about the worth of Scotland controlling our own resources, but praise the levels of investment and value of the North Sea industry to the Westminster exchequer for decades to come. “Last week the UK government had to admit that North Sea oil and gas is an expanding industry, with Vince Cable conceding that ‘Oil and Gas UK expect production to expand’. "Oil and gas has brought jobs and prosperity to Scotland, but not nearly as much as would be by Scotland accessing the tax revenues. There is still huge potential to be unlocked in North Sea oil and gas but, as history has taught us, this can only be done when Scotland is in charge. We cannot trust Westminster again. “Scotland's finances are consistently stronger than the UK's, over half of the North Sea tax revenues are still to come, and our oil and gas assets are worth up to £1.5 trillion. 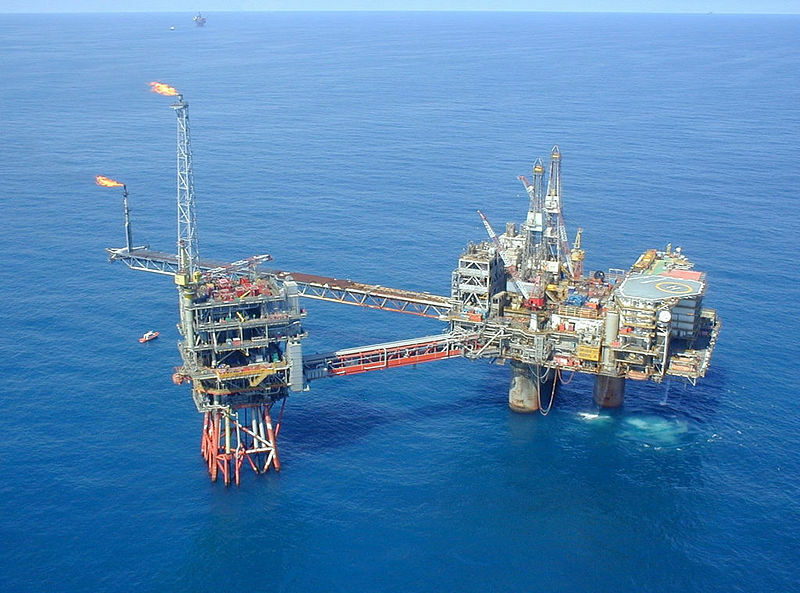 "The SNP Government estimates of oil revenue are consistent with those of the industry, and there is now no doubt that there is a renewed North Sea oil and gas boom underway. "A Yes vote on September 18, 2014 gives Scotland the opportunity to make the next four decades of oil and gas work for our country and for future generations." 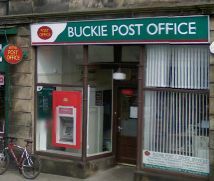 Stewart Stevenson, MSP for Banffshire & Buchan Coast, and Angus Robertson, MP for Moray, have welcomed the news that Buckie Post Office is to be converted to a new main style Post Office branch. The change to the Buckie branch is part of a three year investment and support programme, the largest in the history of the Post Office, which will see around 6,000 branches (around half the Post Office network) converting to new style branches. The Post Office aims to create a more modern and convenient retail experience for customers that will include longer opening hours. Post Office customers will be able to make use of a newly refurbished branch providing a modern open plan environment for customers, longer opening hours. Customers will be able to access the same products and services as they can now and will also be able to access selected Post Office services at the retail counter during shop opening hours. The Buckie Post Office will close at 5.30pm on Monday, 15 April 2013 in order to allow for refurbishments to take place. The branch will re-open in its new format on Friday, 19 April 2013. “I am delighted that Buckie Post Office is going to be part of this modernisation programme. “Investment in the Post Office service in Buckie is very welcome and demonstrates a strong commitment to the community who rely on the services provided by the staff in the Buckie branch. “We have seen many ups and downs with our postal services in recent years and it is fair to see this particular news is an 'up'! “The investment will undoubtedly improve the Post Office experience in Buckie for both customers and staff and is good news." Banffshire & Buchan Coast MSP Stewart Stevenson has pledged to support the swift implementation of a Prostate Cancer UK initiative to help men in Scotland with prostate cancer receive the best possible care and support, regardless of where they live. Stewart Stevenson MSP showed his support for the Quality Checklist at a recent campaigning event held at Holyrood where he met with people affected by prostate cancer from across the country. “Our interim report highlights some worrying gaps in prostate cancer support in Scotland. This shows just how far we have to go before men in Scotland get the help and support they both expect and deserve. There are over 19,000 Scottish men living with prostate cancer, many of whom have to make difficult treatment choices or cope with tough side effects. It is vital that every man with prostate cancer has access to the world class information, care and support he needs and deserves if we are to help men have a better quality of life in the future." Stewart Stevenson, SNP MSP for Banffshire and Buchan Coast has today welcomed the news that two community groups in the Banffshire and Buchan Coast constituency are to receive Awards for All Scotland funding, totalling £18,264. Burnhaven School and Rosehearty Primary School have received grants to purchase sports and outdoor play equipment respectively. Awards for All Scotland is supported by the Creative Scotland, Sportscotland and the Big Lottery Fund and awards grants of between £500 and £10,000 to projects which promote education, the environment and health in communities across Scotland. “I am delighted to see these two local primary schools, which are centres of activity in our community receiving these funds, which will serve to support them now and provide for their development in the future.